Computer Assisted Language Learning (CALL), Technology Enhanced Learning, Social Media & Collaborative Technologies, Web 2.0 Tools, Digital Technologies, ESL Writing, Blended Learning, Flipped Classroom. 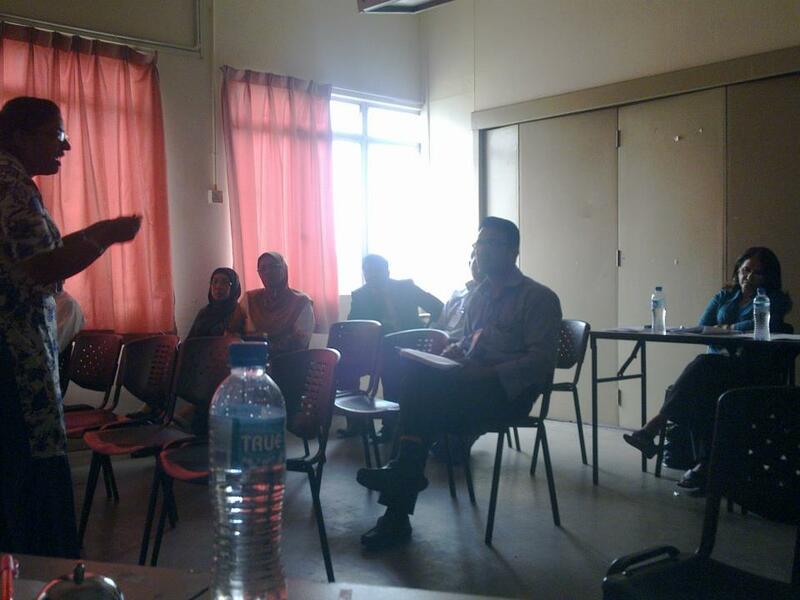 Rajendran Nagappan (Leader), Rosma Osman, Seva Bala Sundaram, Yoon Sook Jhee & Amreet Kaur Jageer Singh. 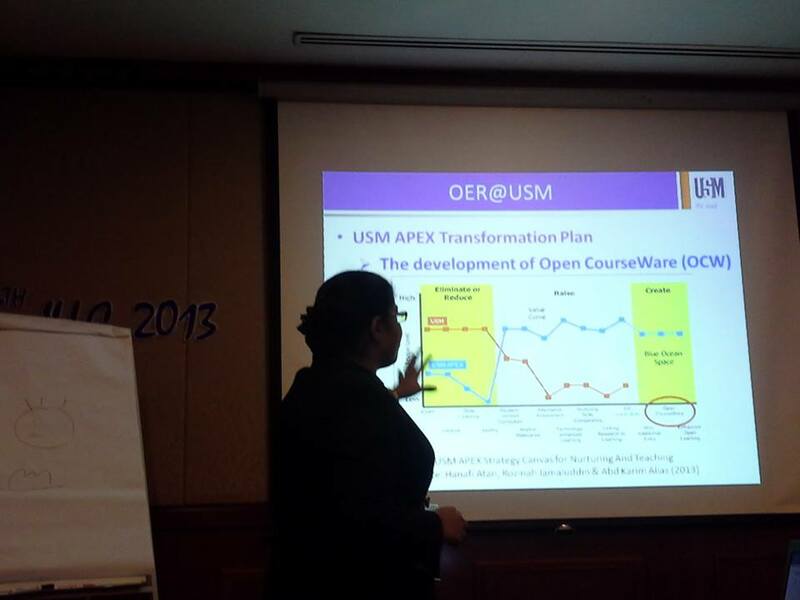 Open Educational Resources for Learning and Teaching Thinking Skills (2010-0082-106-01) - Short Term UPSI Grant RM10000, Dec 2010-Dec 2011. 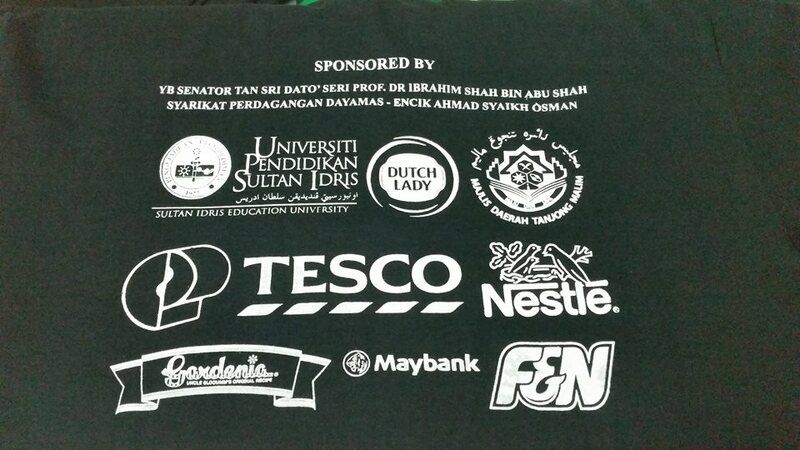 Raja Nor Safinas Raja Harun (Leader), Lajiman Janoory, Azizah Atan, Charanjit Kaur Swaran Singh, Amreet Kaur Jageer Singh, Nurhafza Mustafa, Kamarul Ariffin, Muhammad Lothfi Zamri & Sasigaran Moneyam. 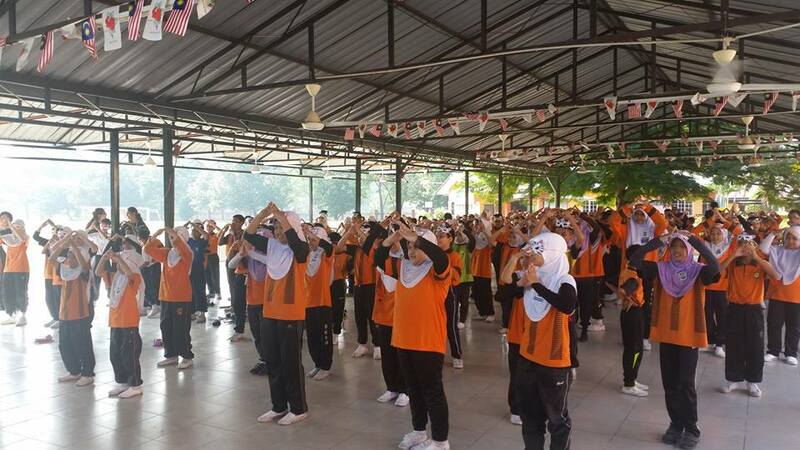 Kajian Keberkesanan Program Penutur Jati Bahasa Inggeris di Sekolah Rendah (Kajian UPSI-KPM). 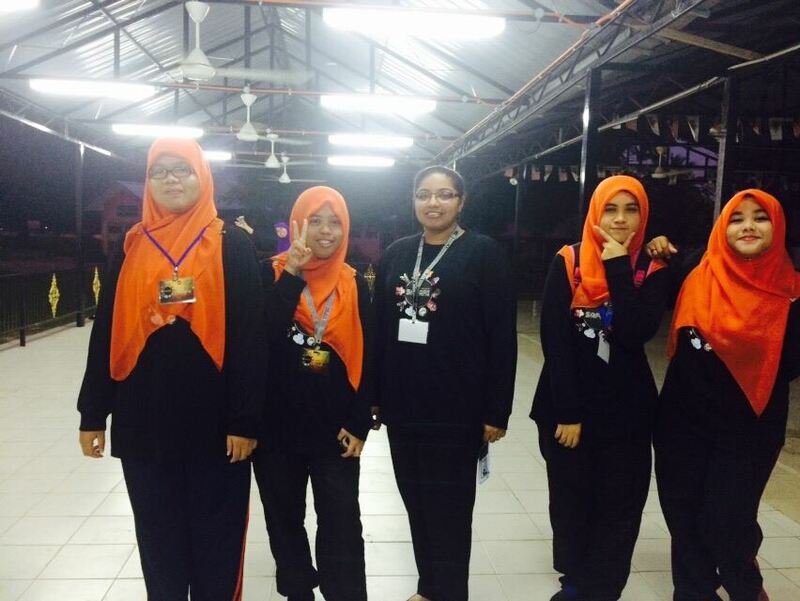 Mei 2015-Okt 2015. 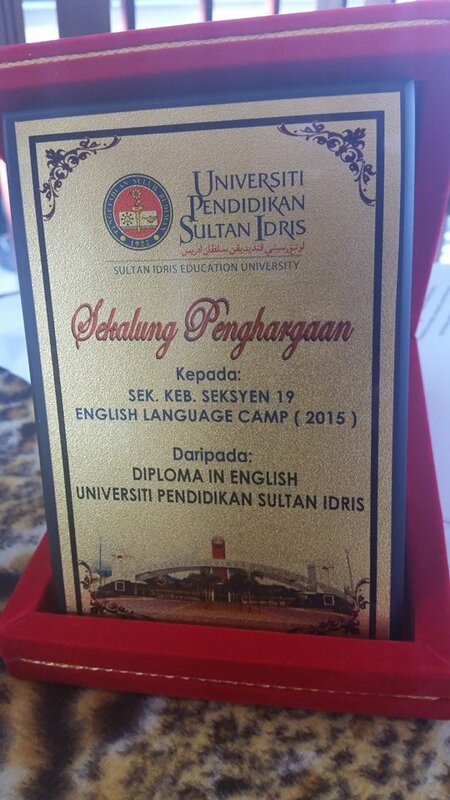 My Diploma students aged 19 and over have problems in mastering grammar. They think that grammar is full of rules, confusing sometimes and it is a boring thing to learn. As we don’t have much class time, I decided to redesign the learning process by employing flipped classroom approach to my current ESL grammar classes. I prepared interactive video lectures (using EDpuzzle.com) with guided questions/worksheets, reflection questions and short quizzes based on the grammar topics listed in the semester plan. In each video, I also included explanation about common mistakes made by students of all levels. Students gain first-exposure learning prior to class by watching the interactive video lectures at their own pace. They can play, stop, pause, fast forward and rewind the video lectures anywhere and anytime. If they have any questions while watching the interactive video lectures, they can always jot them down in their notebooks and we will discuss together in the class. During class, I will normally begin with a debriefing session whereby I will guide my students in reflecting on their learning. 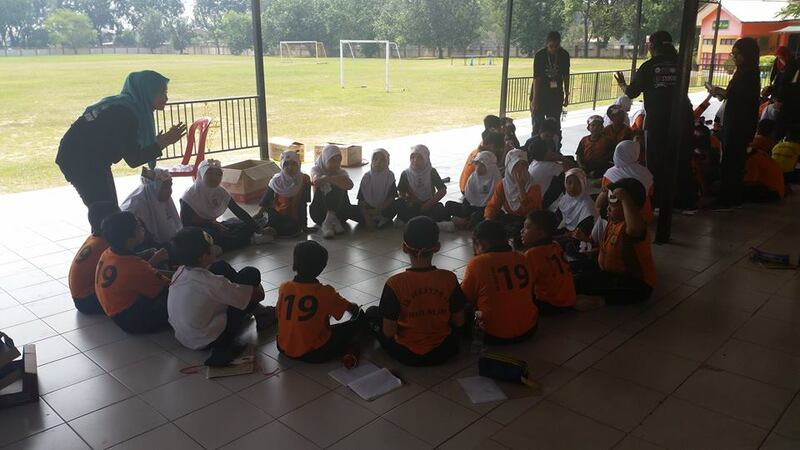 The rest of the class time is then devoted to collaborative exercises, discussions, grammar games and assignments. The classroom activities (based on multimodal learning strategies and task-based learning approach) are integrated across all four skills. 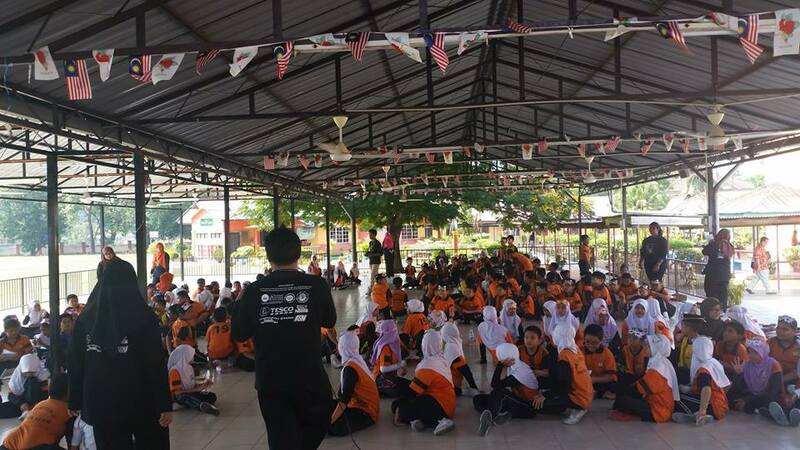 In addition, individual work, pair work and group work are carried out in the class so that the students can actively participate and use whatever they have learned in completing the tasks. Deeper learning through active participation and engagement allows my students to have a better understanding of basic English grammar rules and usage. 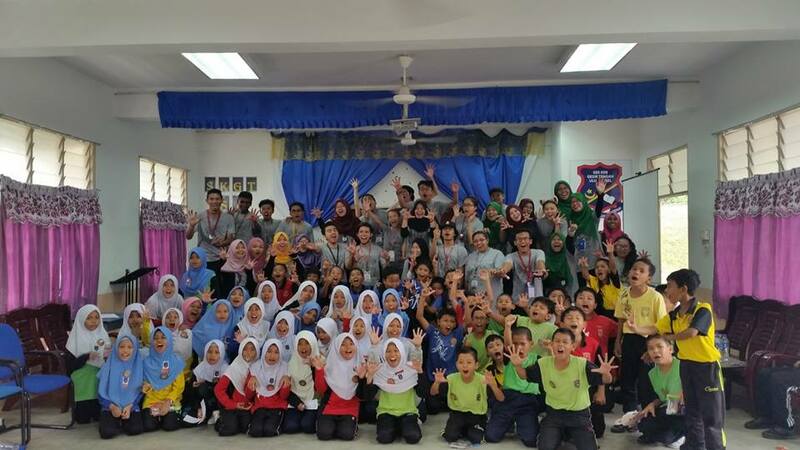 To me, what is more important is the perfect combination of fun and meaningful learning. 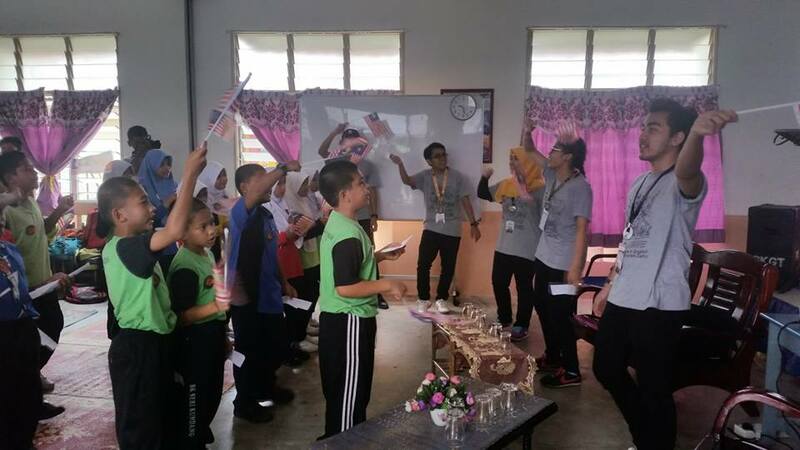 My students seem to be excited to come to English Grammar class because of the fun-filled activities that make learning a joyful experience. Much to my surprise, they are always early to my class and ready for the lesson. Moreover, I found that they no longer have the fear of completing grammar exercises and getting to know the grammar rules better. If they have made mistakes, they will find out what the causes are and where they went wrong. 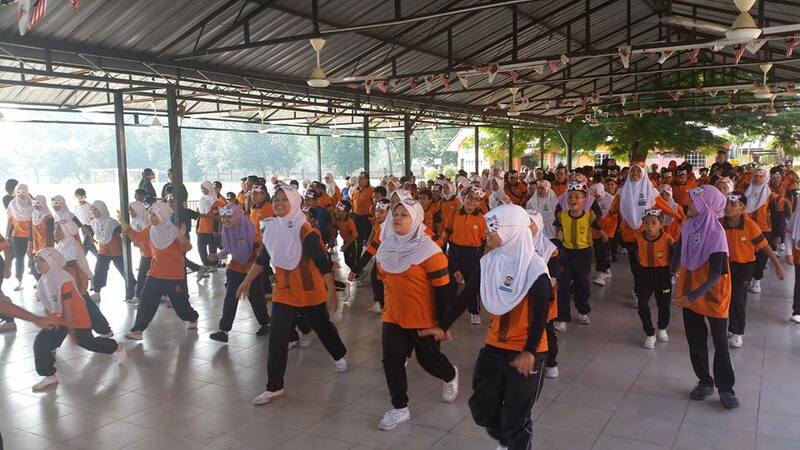 All these are associated with the social interactions, peer support and motivation gained during the collaborative activities and grammar games in class. 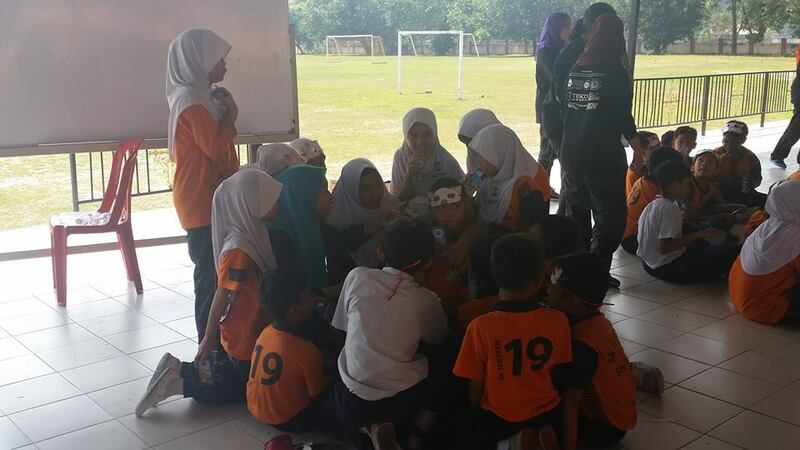 It seems that students in groups learn from each other better than individuals. Furthermore, no more confusion about grammar aspects as I make the best of my class time to explain things clearly to my students. As for those who didn’t turn up to the class due to unforeseen circumstances, they can always watch the interactive video lectures at home and give their responses to the questions/quizzes. They won’t be left behind. In short, flipped classroom approach places the responsibility for learning English Grammar on the shoulders of students while giving them greater motivation to experiment knowledge that they have grasped in various other tasks. 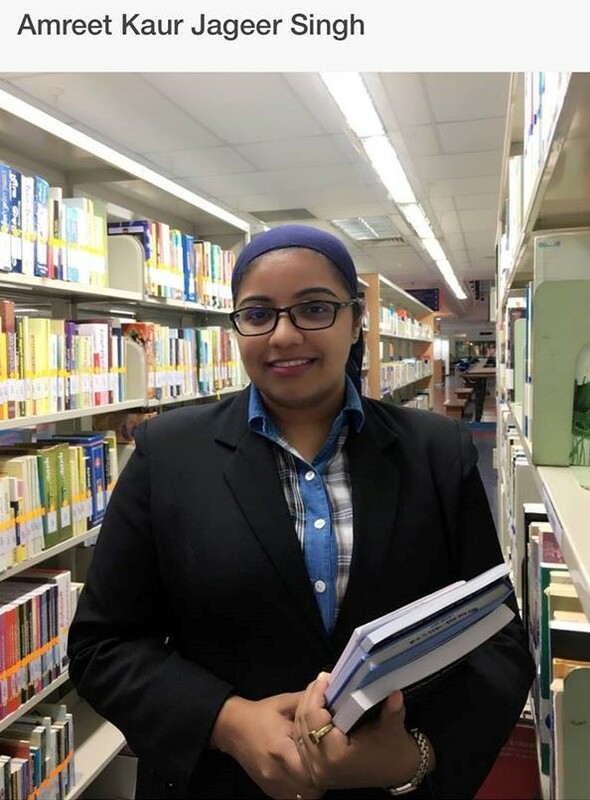 I have earned a Master's Degree in Education (TESL) and currently work as an English language teacher at the Centre for Languages and General Studies, Sultan Idris Education University (UPSI), Malaysia. 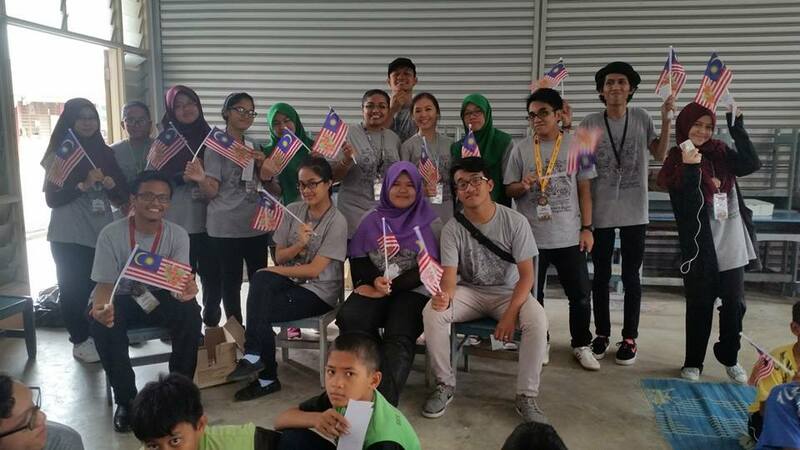 I have experience of teaching several English language proficiency and Diploma in English courses. 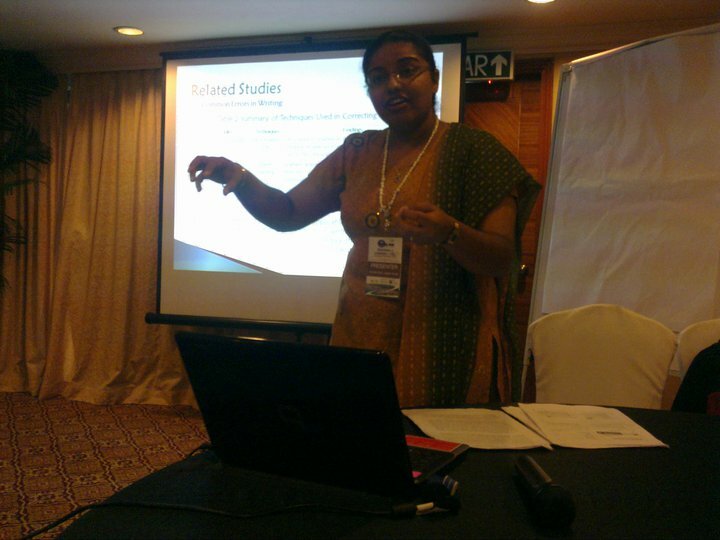 My research interests include English language teaching and learning, computer-assisted language learning (CALL), technology-enhanced language learning (TELL), educational technology and flipped classroom. 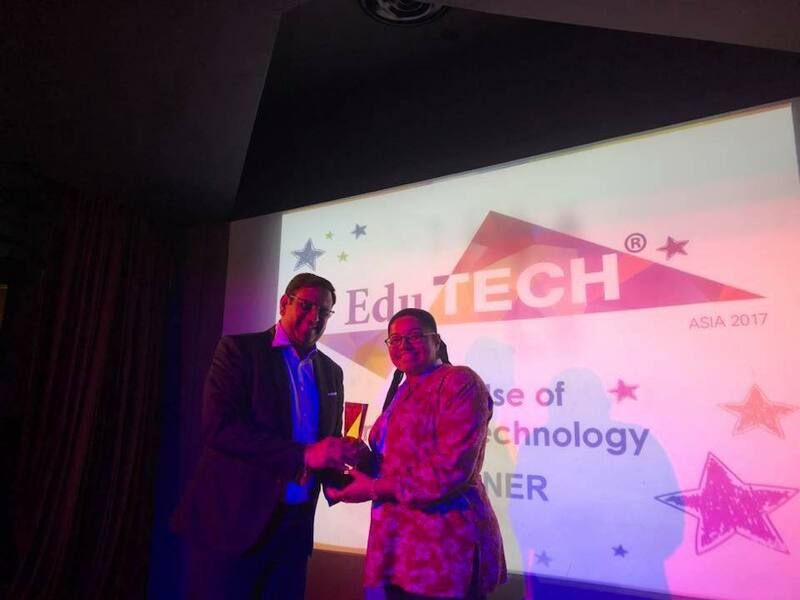 My expertise has recently earned me crowning glory when I became a recipient of two international prestigious awards: Pearson ELT Teacher Award 2017 for Asia and Oceania Region and EduTECH Asia Awards 2017 (Category: Best Use of In-Class Technology). 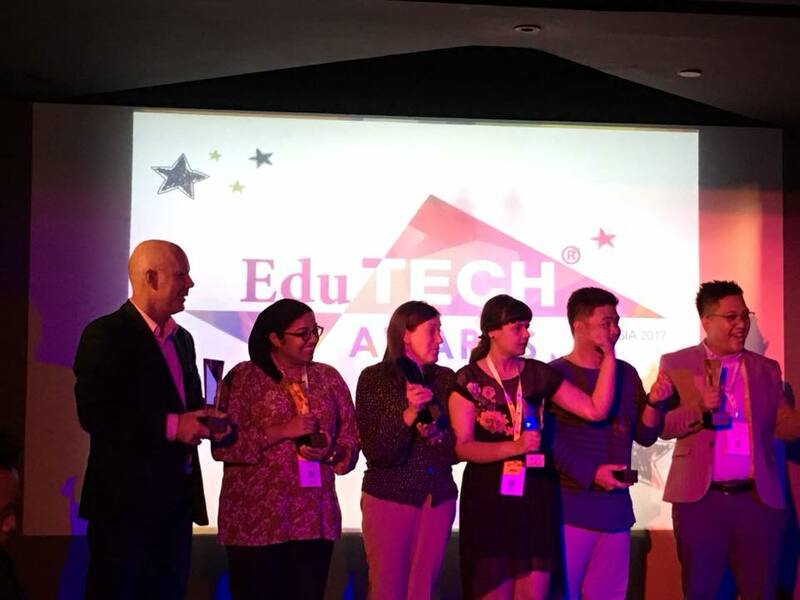 Learning Technologies in EAP course is an online programme designed to help EAP teachers feel more confident and capable using technology in their classrooms and with their students. 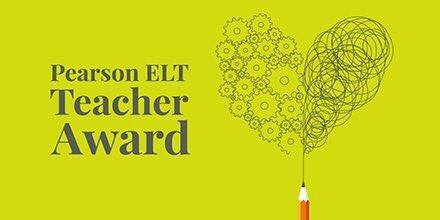 The Using Educational Technology in the English Language Classroom course is provided by Iowa State University, as part of the American English (AE) E-Teacher Program, sponsored by the U.S. Department of State and administered by FHI 360. This 8-week course is designed to prepare TESOL professionals to integrate language learning tools into their English language teaching. Participants will become aware of free technological tools, learn how to use these tools for language learning and teaching, and evaluate the appropriateness of a technology tool for their specific contexts. Invited as the Keynote [email protected]International Conference on English Language Teaching 2017 (ICONELT 2017), 24-25 August 2017, Twin Tower Building, Universitas Islam Negeri Sunan Ampel (UIN Sunan Ampel), Surabaya, Indonesia. Amreet Kaur Jageer Singh and Raja Nor Safinas Raja Harun. (2011). Using Peer Editing through Wikispaces in Correcting L2 Students’Writing. 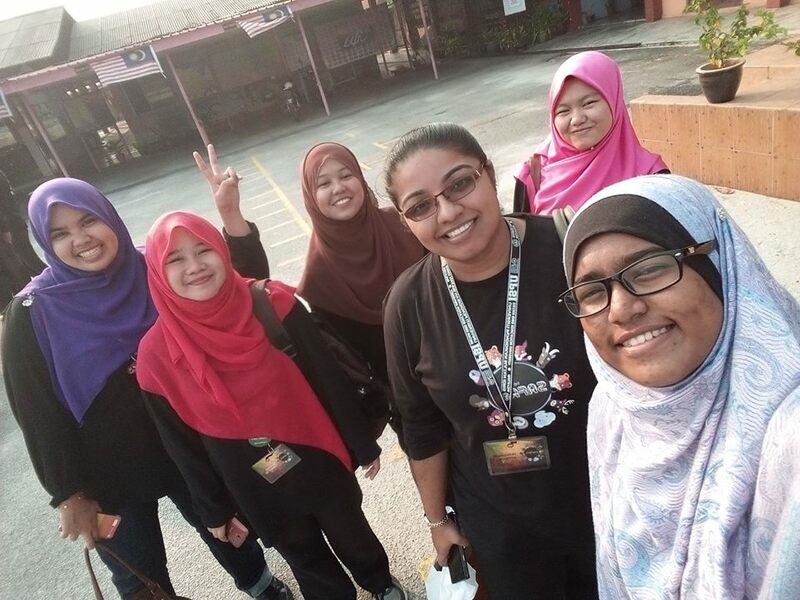 4th English Language Conference 2011 (ELC UPSI 2011) – 7/8 March 2011 – Universiti Pendidikan Sultan Idris (UPSI), Tg. 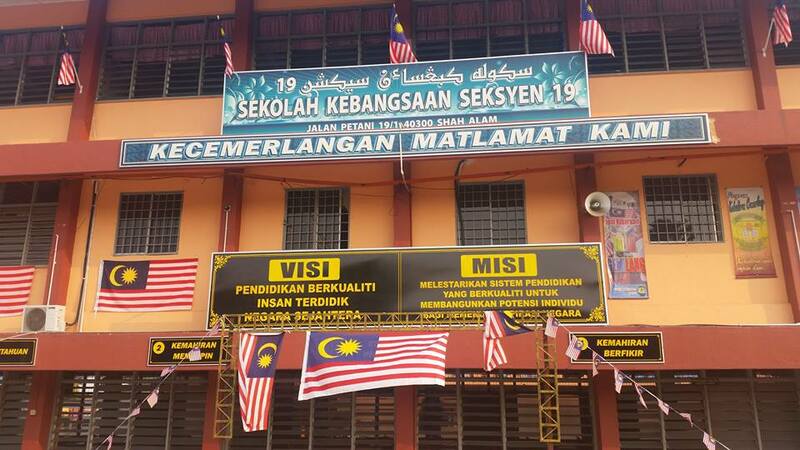 Malim, Perak. Amreet Kaur Jageer Singh and Raja Nor Safinas Raja Harun. (2012). 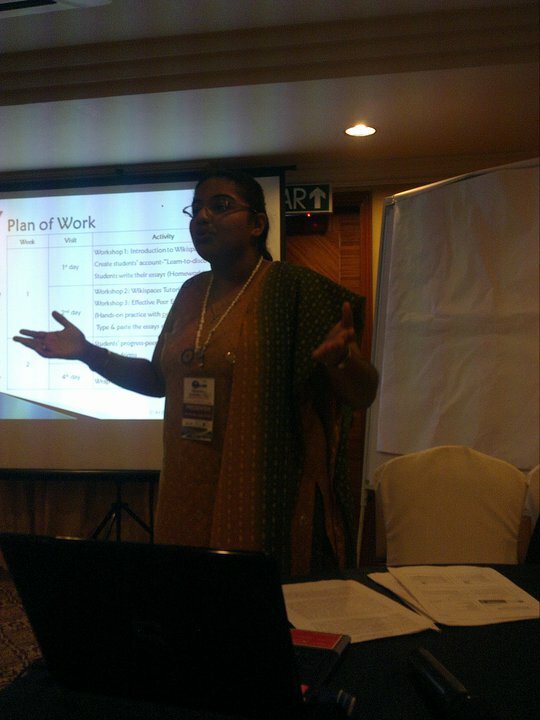 Affordances of Wikispaces for Collaborative Learning and Knowledge Management. 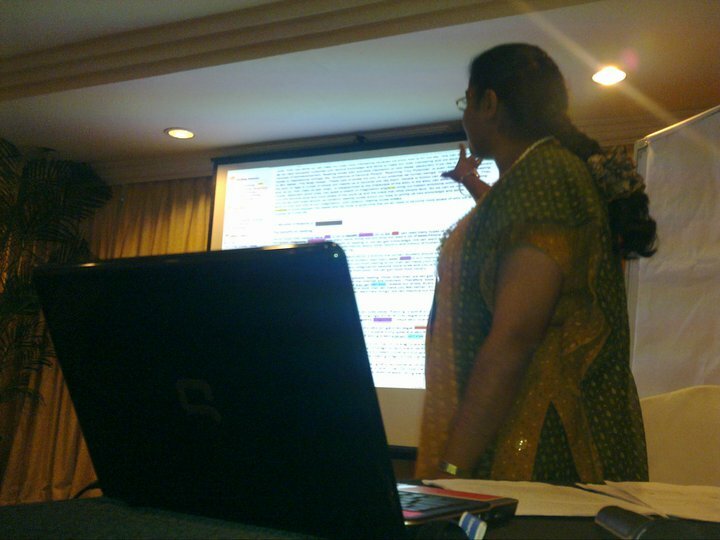 10th International AsiaCALL 2011 Conference – 9/11 February 2012 - Four Wings Hotel, Bangkok, Thailand. Amreet Kaur Jageer Singh and Raja Nor Safinas Raja Harun. (2012). Using Peer Editing through Wikispaces in Correcting L2 Students' Writing. 2012 MELTA International Conference on Graduate Research in English Language Education - 31 March 2012 – Institute of Teacher Education, International Languages Campus (IPGM-KBA), Kuala Lumpur – CD Proceeding. ISBN: 967-399-111-2. Raja Nor Safinas Raja Harun & Amreet Kaur Jageer Singh. (2013). 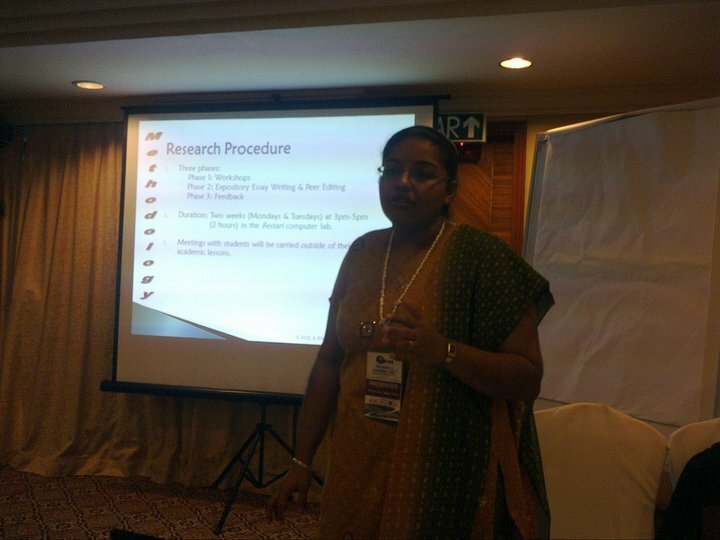 Learning to teach through reflection: Observations of ESL student teachers' recorded macro and micro-teaching. Twentieth International Conference on Learning Conference, 11-13 July, Rhodes, Greece. Amreet Kaur Jageer Singh, Chong Jui Jong, Vivien Chee Pei Wei and Ambigapathy Pandian. (2013). 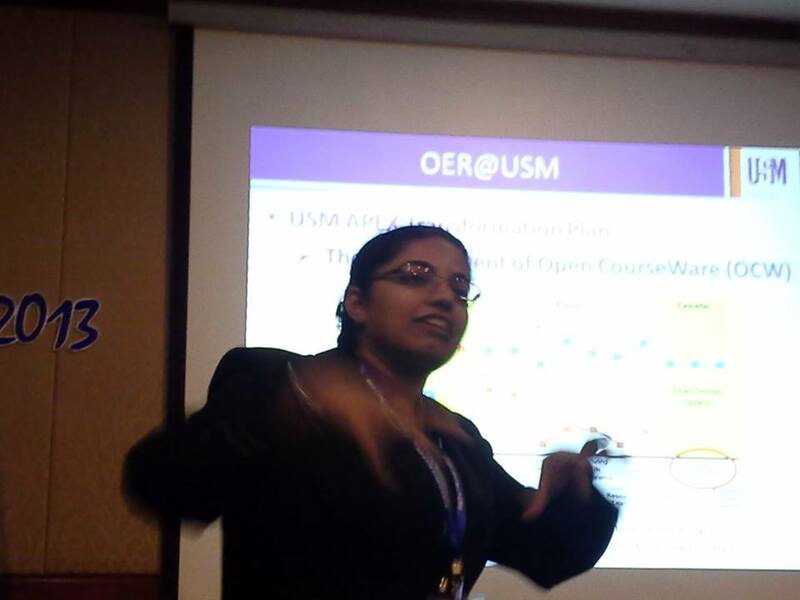 Teachers' Perspectives on Creating, Sharing and Using Open Educational Resources (OERs) in a Malaysian University. 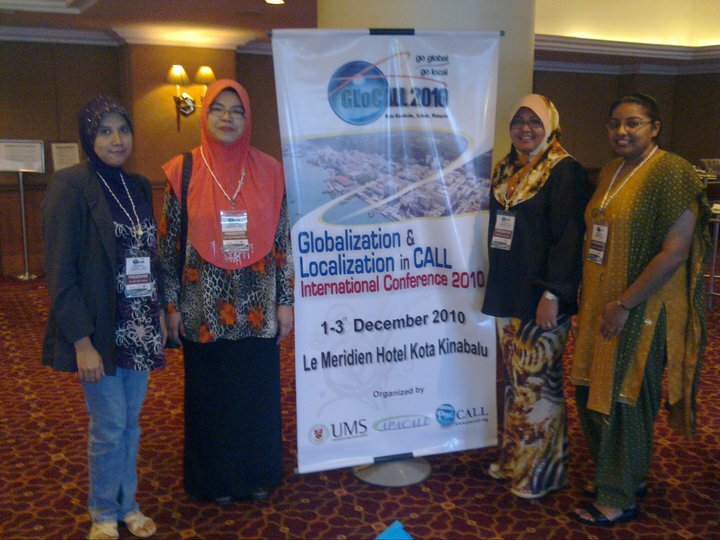 5th International Language Learning Conference 2013 (5th ILLC 2013) – 11-13 November 2013 – Evergreen Laurel Hotel, Gurney Drive, Penang. Raja Nor Safinas Raja Harun & Amreet Kaur Jageer Singh. (2014). 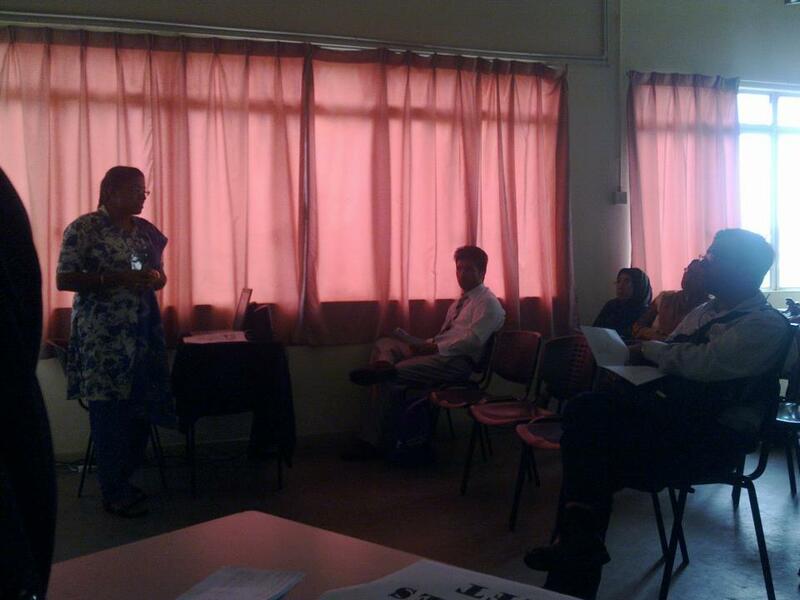 ESL Student Teachers as a Community of Practice in the Reflective Seminar Course. 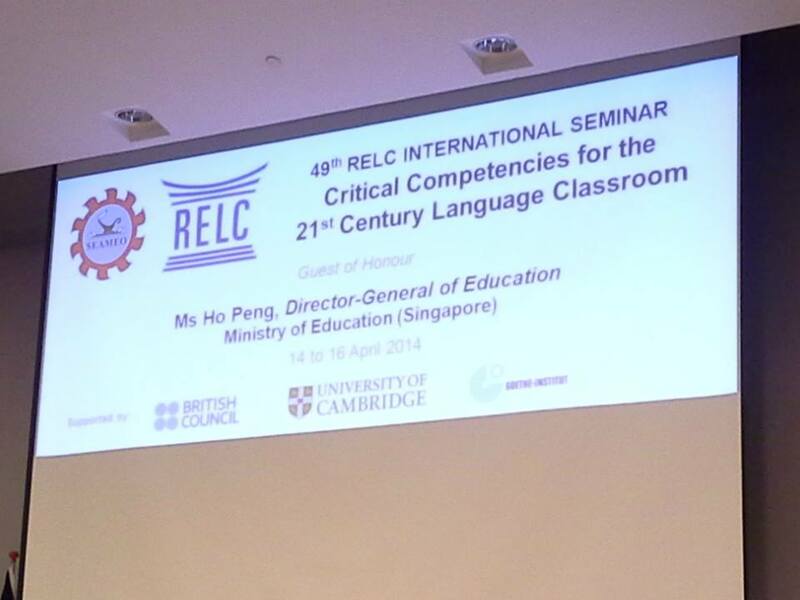 49th RELC International Seminar, 14-16 April 2014, SEAMEO Regional Language Centre, Singapore. Charanjit Kaur Swaran Singh, Amreet Kaur Jageer Singh & Nur Qistina Abdul Razak. (2015). Grammatical Errors Made by ESL Tertiary Learners in Writing. 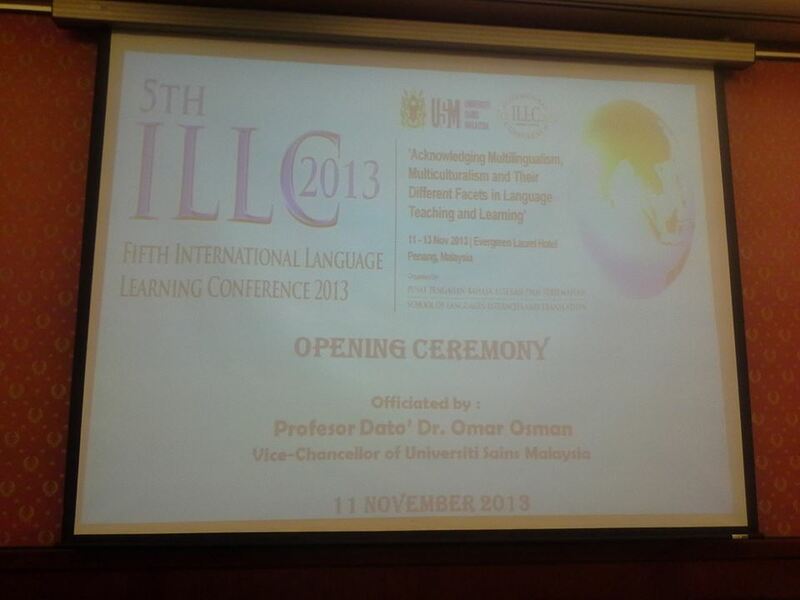 Proceedings of the International Seminar on Language Teaching ISeLT 2015, 4-5 February, Bangi, Malaysia. Amreet Kaur Jageer Singh and Raja Nor Safinas Raja Harun. (2015). Industrial Trainees’Perceptions on the Use of English Language in the Workplace. 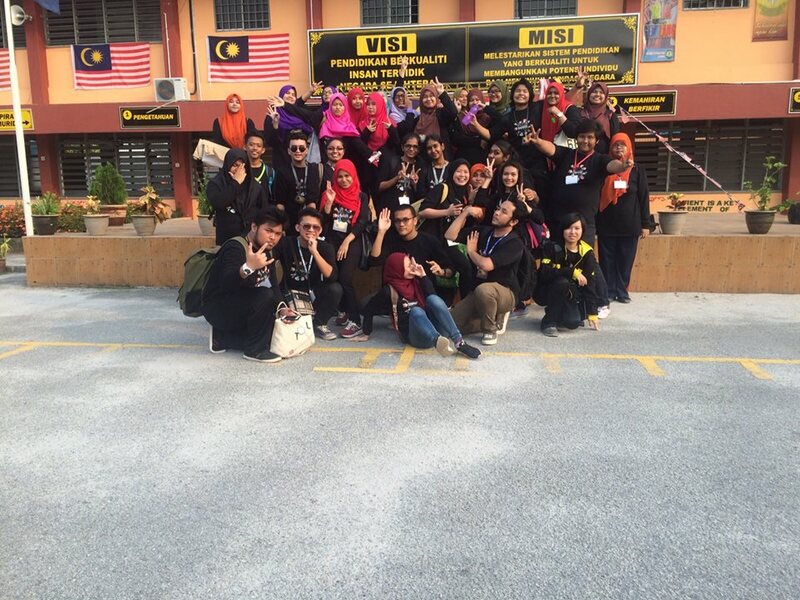 SoLLs.INTEC.15 International Conference, 29-30 September 2015, Bangi, Malaysia. Amreet Kaur Jageer Singh and Raja Nor Safinas Raja Harun. (2016). 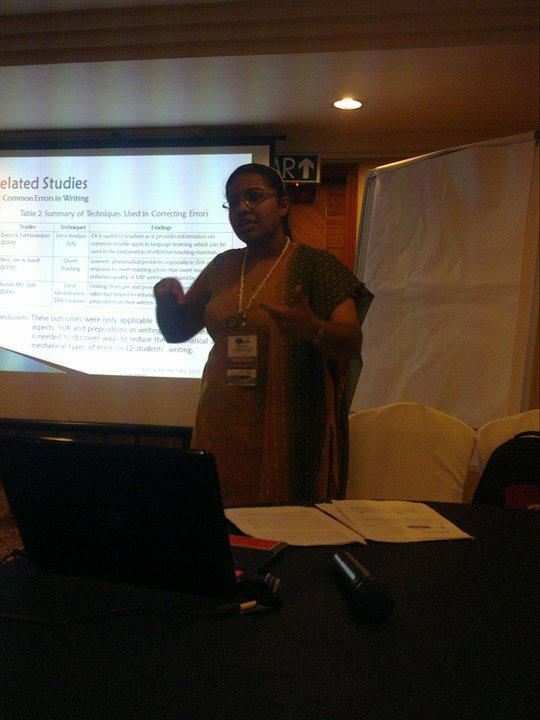 Students' Experiences and Challenges of Learning English Grammar through Flipped Classroom and Gamification. 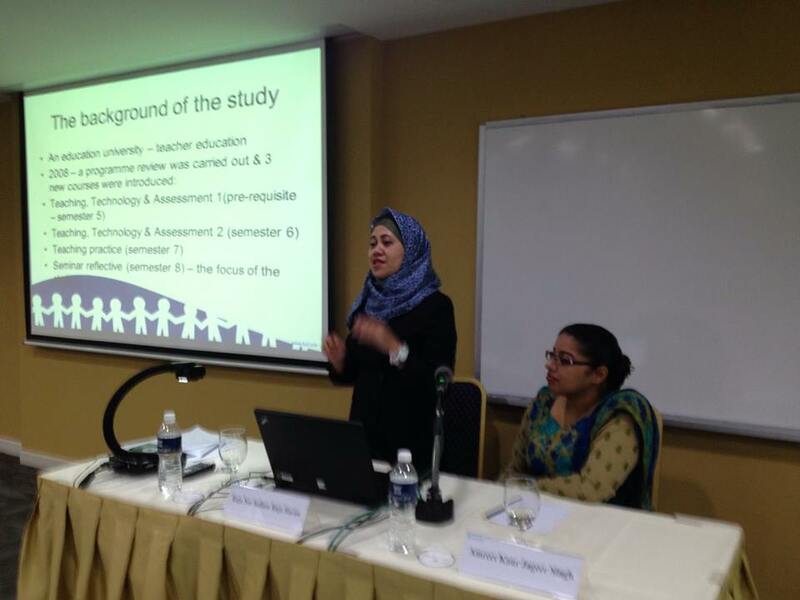 Proceedings of the 1st English Education International Conference & 2nd Reciprocal Graduate Research Symposium of CAPEU, 12-13 November 2016, Universitas Syiah Kuala (UNSYIAH), Banda Aceh, Indonesia. Amreet Kaur Jageer Singh. (2017). 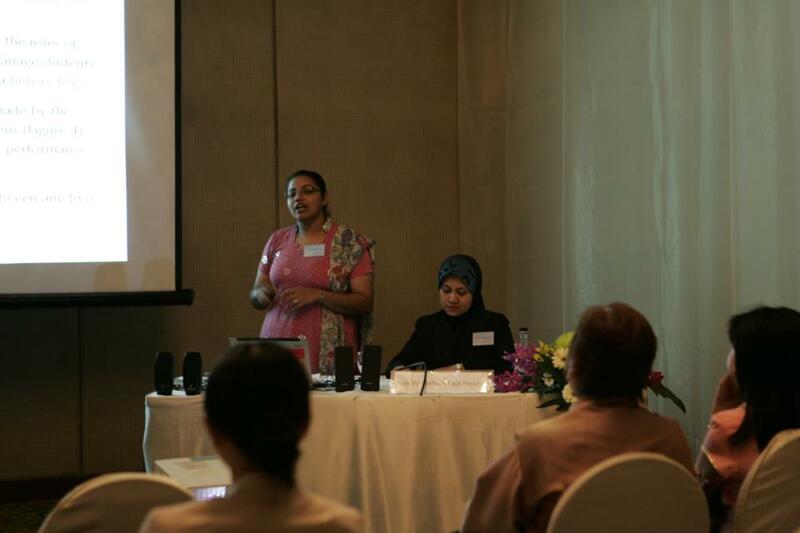 Learning technologies in EAP as a practical course for teachers: A participant's reflection. 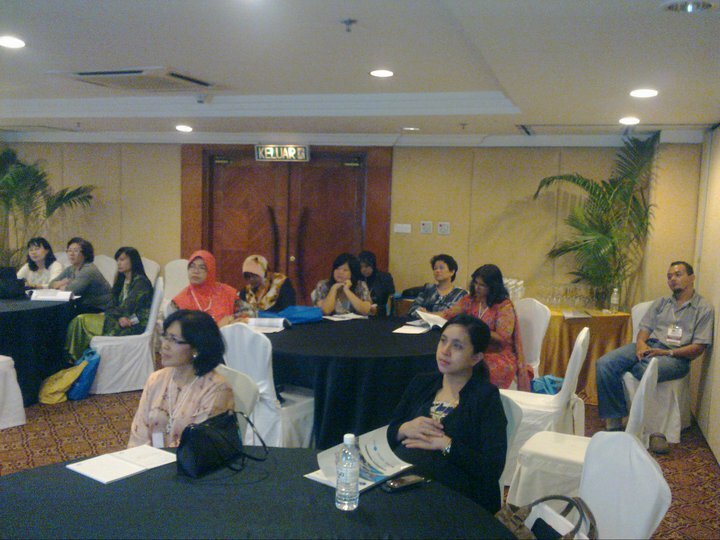 The Eighth International English Language Teaching Conference 2017, 19-21 April 2017, Bayview Hotel, Penang, Malaysia. Amreet Kaur Jageer Singh & Raja Nor Safinas Raja Harun. (2017). Drawing Insights from Reflective Entries of University Students Undergoing a Problem Based Learning. 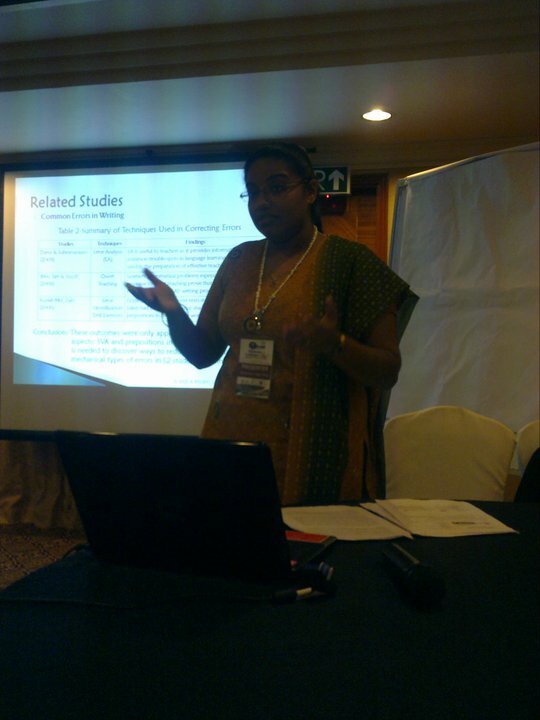 1st International Research Symposium of National Colleges of Education 2017, 29-30 November 2017, Pasdunrata National College of Education, Kalutara, Sri Lanka. Amreet Kaur Jageer Singh and Raja Nor Safinas Raja Harun. (2018). 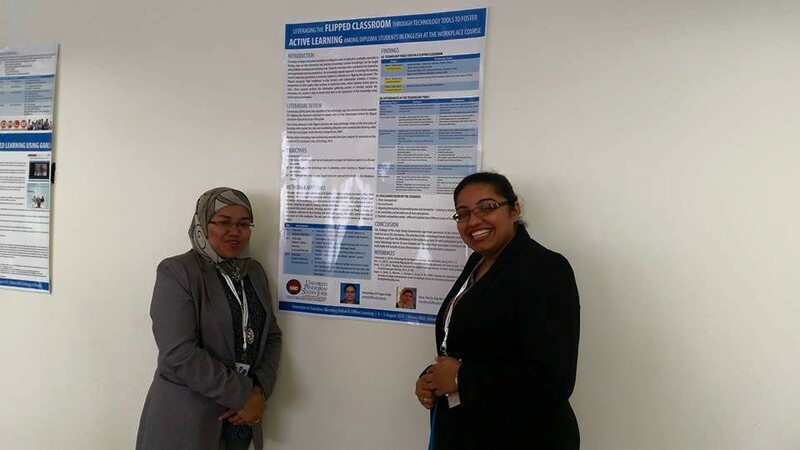 Enhancing ESL students’ argumentative writing skills through peer instruction in the flipped learning environment. 53rd RELC International Conference 2018, 12-14 March 2018, RELC International Hotel, Singapore. Amreet Kaur Jageer Singh and Raja Nor Safinas Raja Harun. (2018). 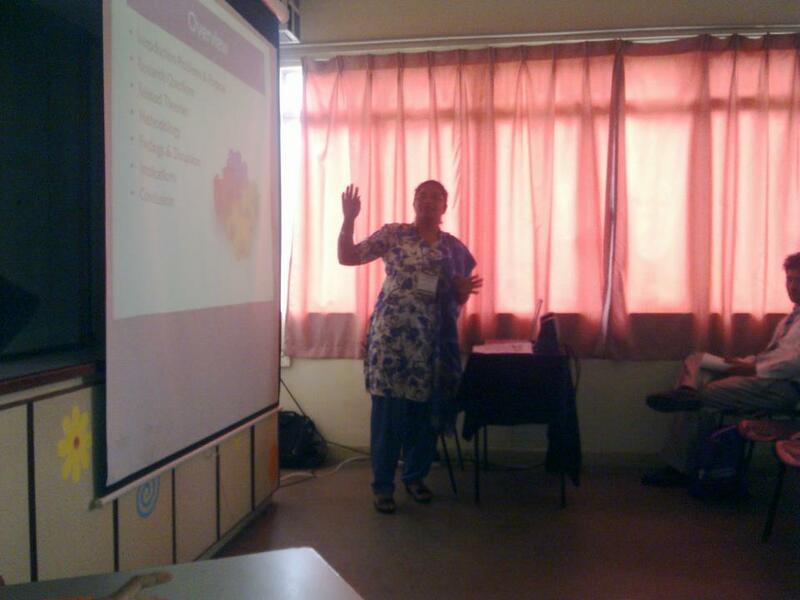 Pedagogical strategies and technological tools applied in flipped English language classrooms. 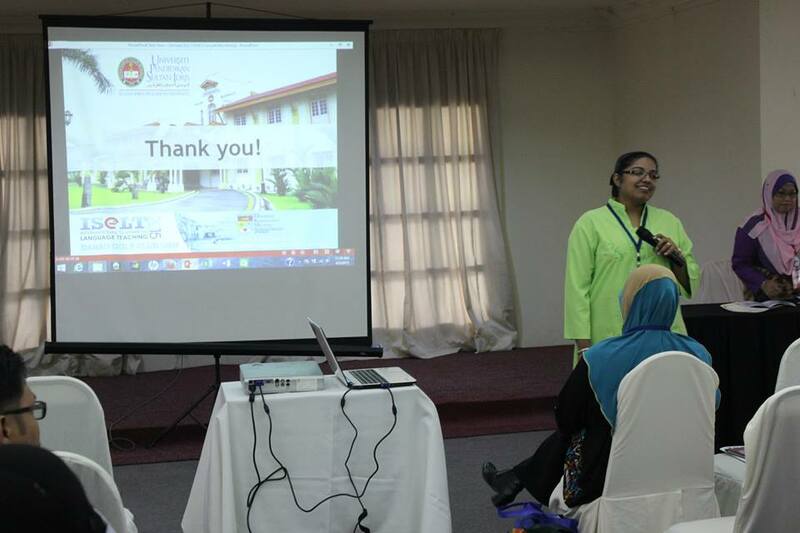 The 1st ASEAN English Language Teaching Conference (ASEAN-ELT 2018), 15-17 March 2018, Hotel Equatorial Melaka, Melaka, Malaysia. 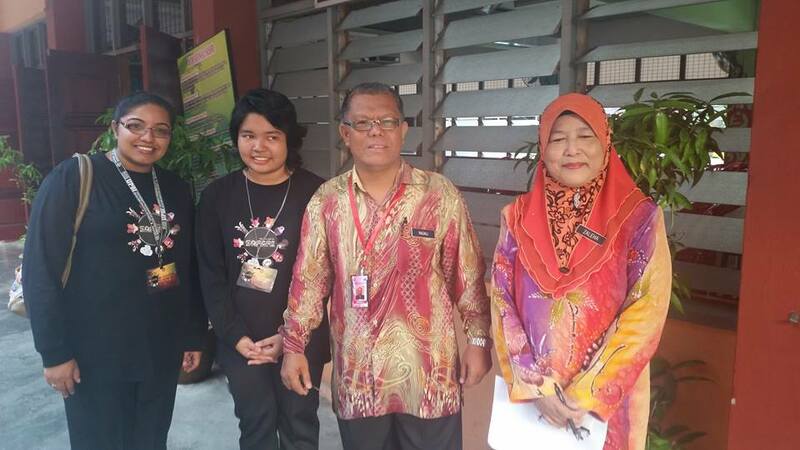 Amreet Kaur Jageer Singh and Raja Nor Safinas Raja Harun (2015). Leveraging the Flipped Classroom through Technology Tools to Foster Active Learning among Diploma Students in English at the Workplace Course. 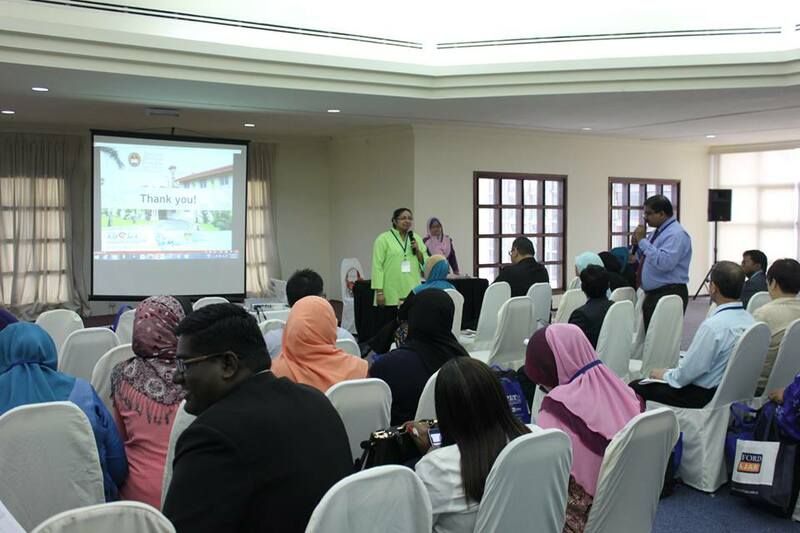 Universities in Transition: Blending Online & Offline Learning, 4-5 August 2015, Wisma R&D, Universiti Malaya, Malaysia. Amreet Kaur Jageer Singh & Raja Nor Safinas Raja Harun. (2013). Peer editing process through Wikispaces in correcting L2 students’ writing. The Asian Journal of English Language and Pedagogy (AJELP), 1(1), 119-147. ISSN: 1823 6820. Amreet Kaur Jageer Singh, Raja Nor Safinas Raja Harun & Wan Fareed. (2013). 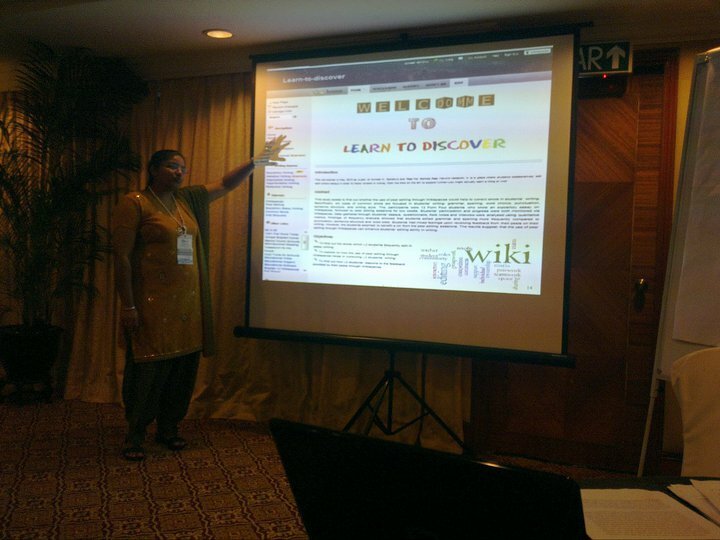 Affordances of Wikispaces for collaborative learning and knowledge management. GEMA Online Journal of Language Studies, 13(3), 79-97. ISSN: 1675-8021. Raja Nor Safinas Raja Harun & Amreet Kaur Jageer Singh. (2015). 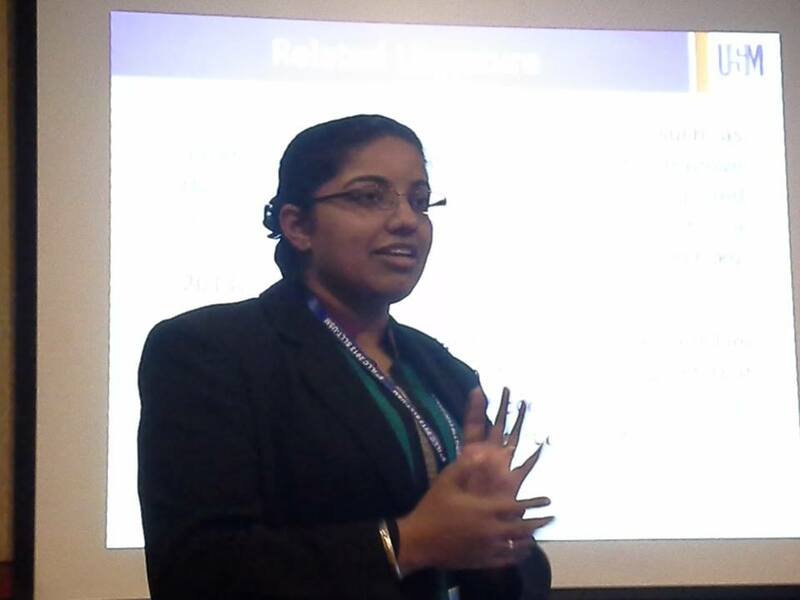 Learning to teach through reflection: Observations of ESL student teachers' recorded macro and micro-teaching. 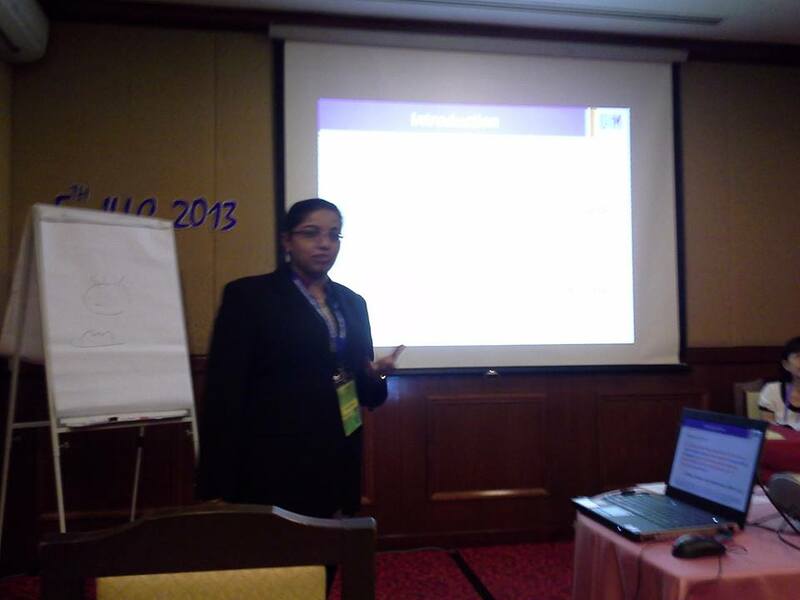 The International Journal of Learning in Higher Education, 22(4), 107-117. 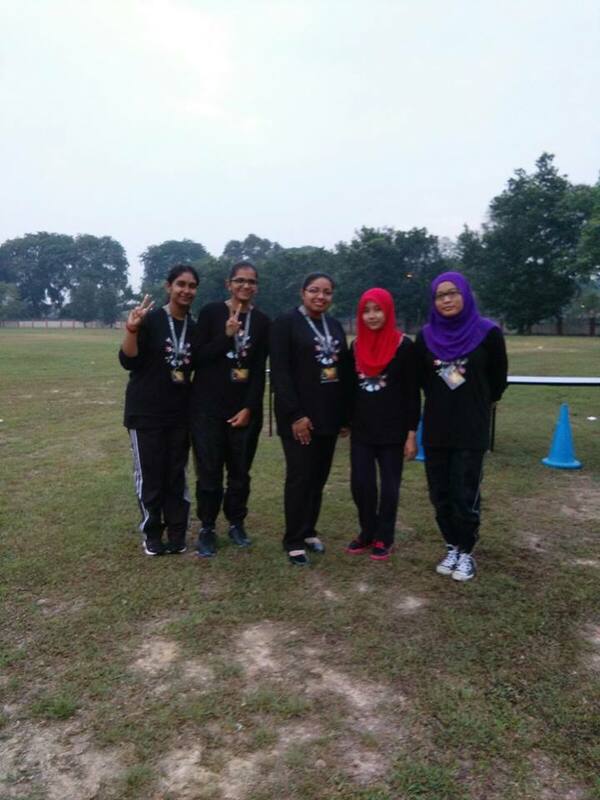 Charanjit Kaur Swaran Singh, Amreet Kaur Jageer Singh, Nur Qistina Abdul Razak & Thilaga Ravinthar. (2017). 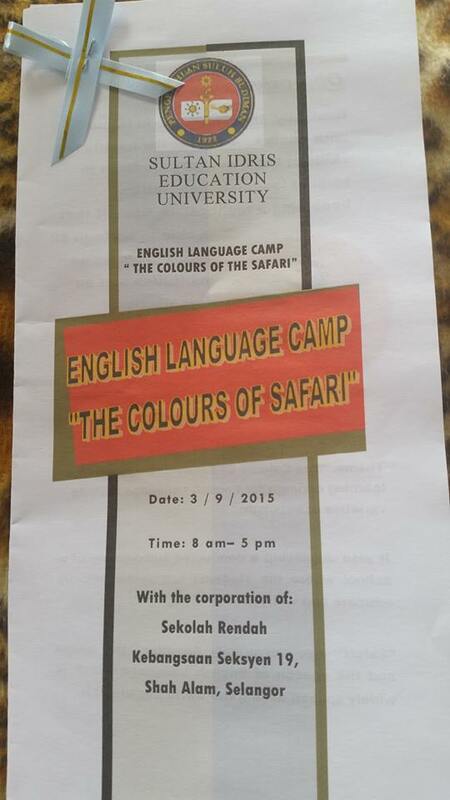 Grammar Errors Made by ESL Tertiary Students in Writing. 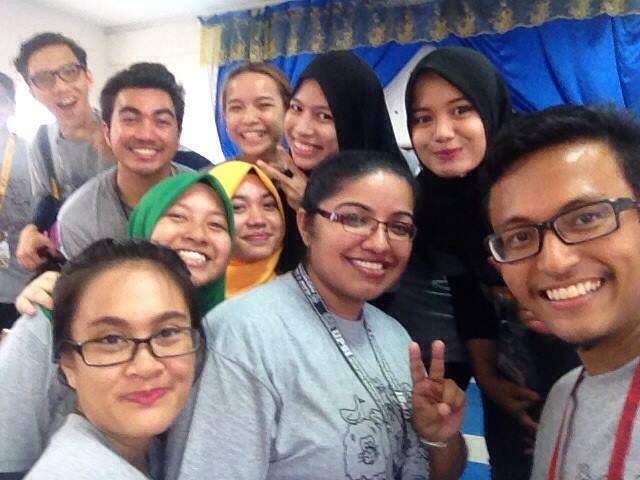 English Language Teaching, 10(5), 16-27. 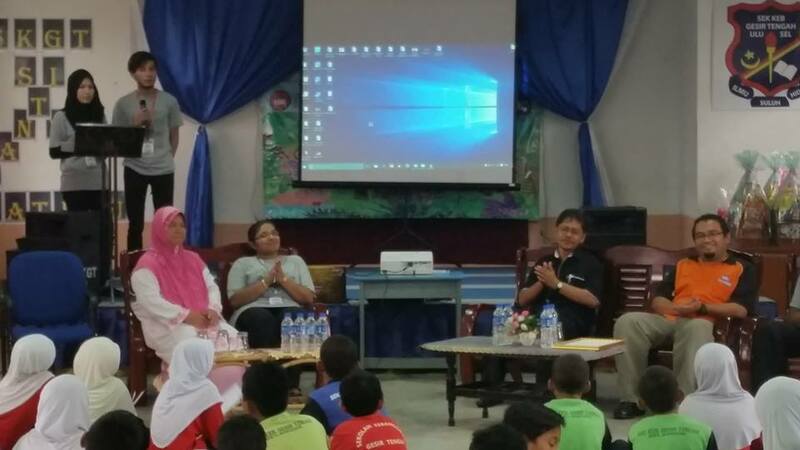 Nurhafza Mohamad Mustafa, Amreet Kaur Jageer Singh & Mazyani Mat. (2016). 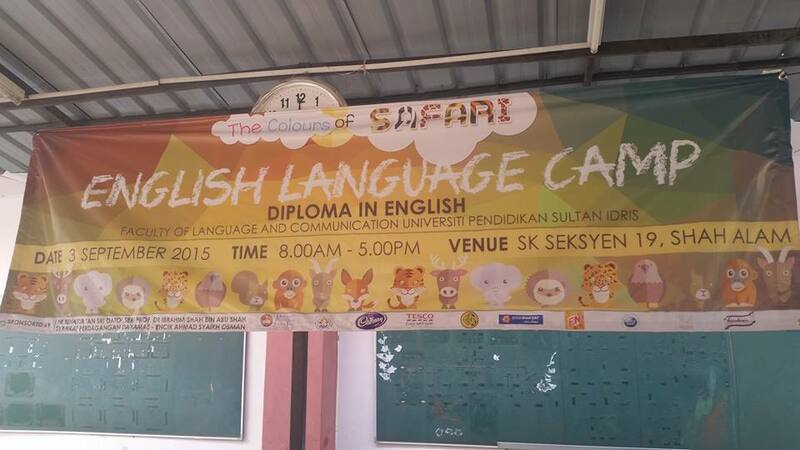 English Proficiency 2. 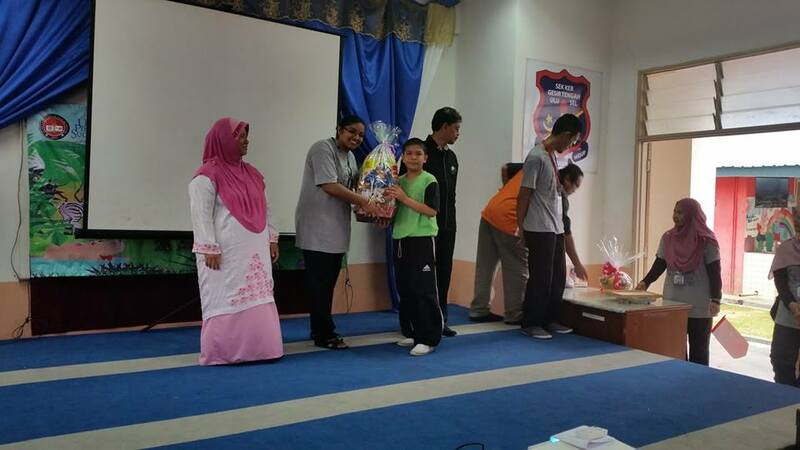 Tanjung Malim. 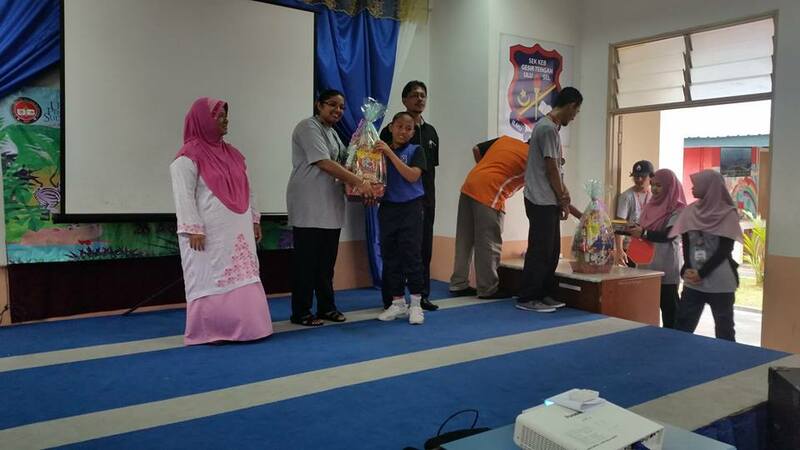 Nurhafza Mohamad Mustafa, Mazyani Mat & Amreet Kaur Jageer Singh. (2018). English Pro 2. Tanjung Malim. 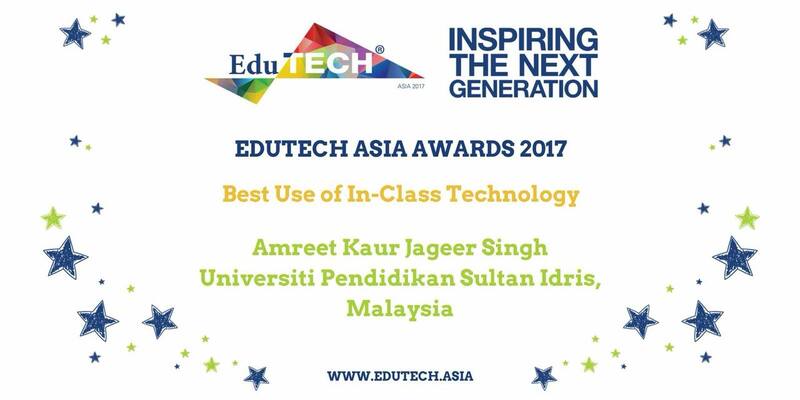 Amreet Kaur Jageer Singh won the 'Best Use of In-Class Technology' during the EduTECH Asia Awards 2017, held on November 8 in Singapore. 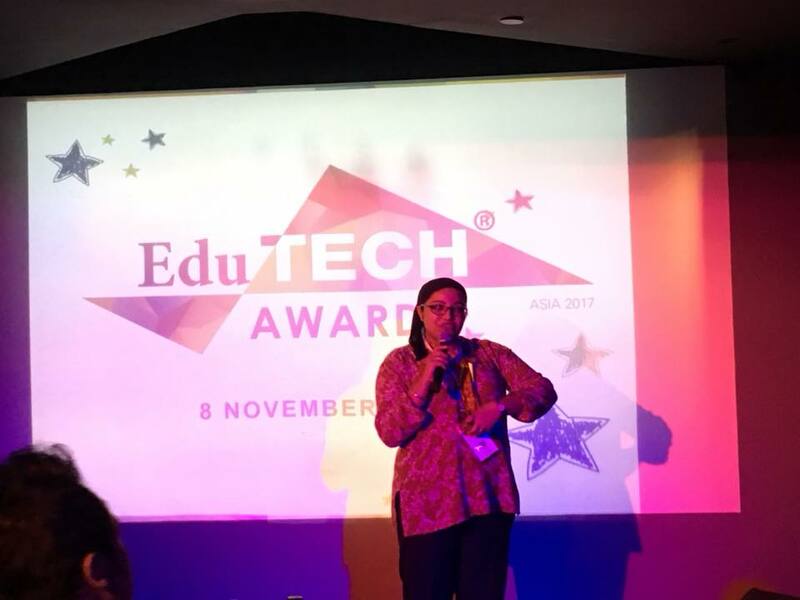 She is one of the eight recipients of the EduTECH Asia Awards 2017. 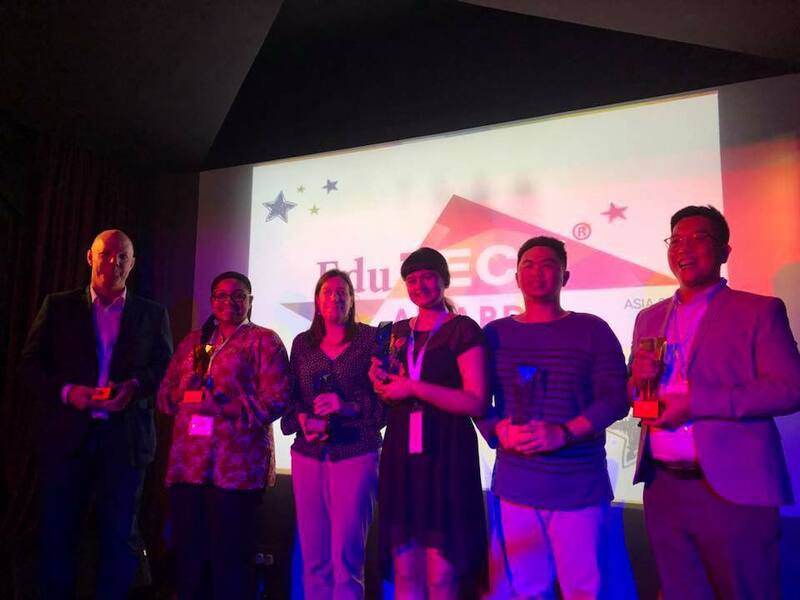 Ten countries (Malaysia, Singapore, Indonesia, Brunei, Vietnam, Philippines, China, Taiwan, India, United Arab Emirates) participated in this award. 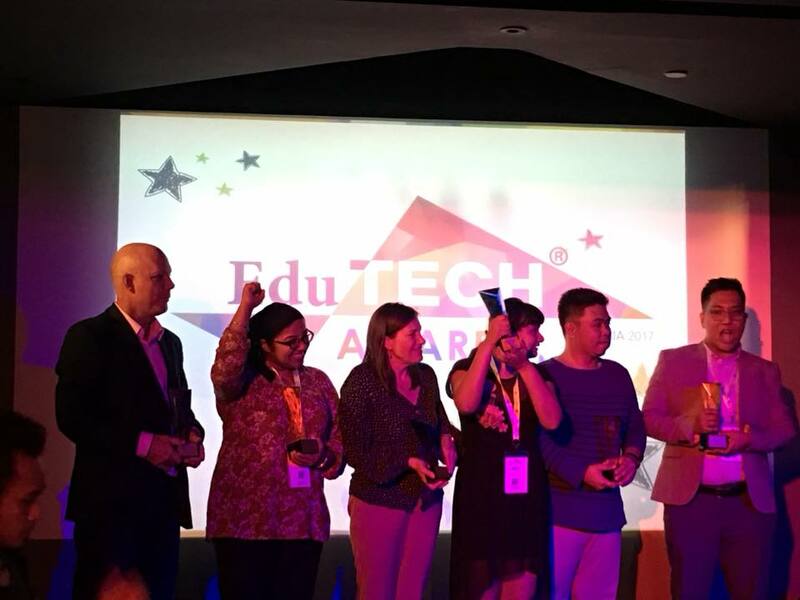 'Best Use of In-Class Technology' is an award to acknowledge the work and contributions of an individual in integrating digital technology tools most effectively in the classroom.